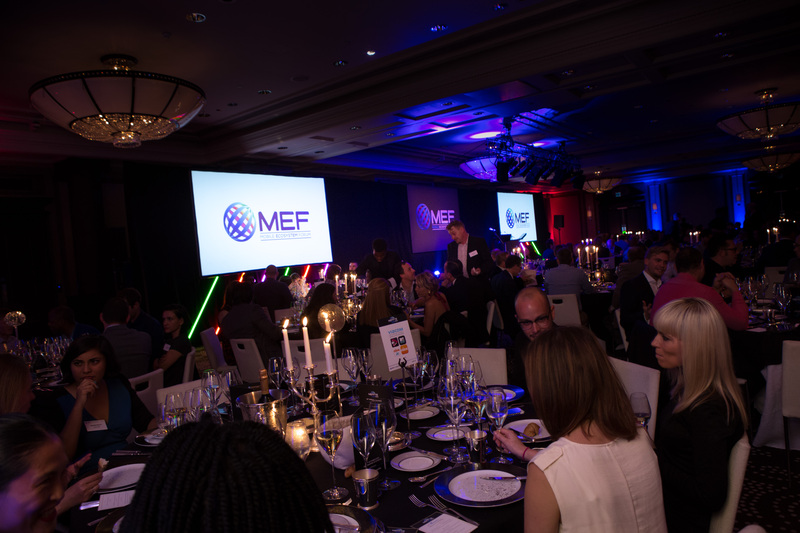 At last month’s Meffys Gala Dinner in London, MEFTV chatted backstage with all the jubilant winners as they came offstage having received their respective accolade from the evening’s host legendary beat-boxer and musical mastermind Beardyman. See what they have to say and check out all the showreels from each of the 15 award categories that were presented on the night providing a roundup of top innovators and leaders in mobile from around the world, featuring sectors as diverse as agriculture, policing and transport alongside finance, health and education. This category recognises applications that will be the ‘next big thing’ for consumers. We are looking for apps that deploy new innovative creative ideas and technology to create an engaging and captivating user experience. This award recognizes companies who have successfully implemented a new business model that is advancing consumer engagement, revenue generation and / or facilitating mass-market consumer adoption within the mobile ecosystem. This award highlights the impact that innovation on mobile has on Education resources and services. It celebrates apps and services developed to improve access, efficiency and flexibility to all areas that mLearning represents. It encompasses educational and vocational services as well as reference materials via mobile that meets and exceeds the needs of learners globally in both fully developed and growth markets. This award recognizes company’s who are at the forefront of implementing innovative new products/services and disrupting the status quo of the mobile financial technology industry. It celebrates achievements of retailers, banks, government bodies, enterprises and technology companies who are delivering next generation payment services, accelerating the adoption of mobile money and transforming the mobile ecosystem. This award recognizes the innovative products and services driving global mHealth. It includes healthcare, treatment, diagnosis solutions as well as lifestyle and health coaching through increased accessibility. This category celebrates both companies helping to address affordable healthcare that is accessible to all and those focused on improving health system services and innovative prevention through mobile technology and initiatives. Rewarding successful products, services, initiatives, technologies or business models within mobile-first markets. It looks at how mobile is the primary digital access point in many markets and celebrates companies who are leveraging the mobile platform to provide innovative products or services. This award recognizes technical innovation that is advancing and growing the mobile ecosystem by overcoming existing technical barriers or producing new technologies to drive consumers to use mobile first and foremost. This award recognizes organisations that are paving the way for creating a more trusted environment and experience on mobile for consumers. This award recognizes companies who have successfully created and launched inclusive programmes & initiatives as well as products or services that have a direct positive impact on consumers and the wider society. This award recognizes companies that provide technology or services that help increase consumer engagement and drive monetization via mobile. It could be a new or innovative direct to consumer offering including location based services, big data solutions, social sharing and promotional offers as well as solutions from companies working behind the scenes with consumer facing brands or services to help them achieve marketing and commercial objectives that increase overall mobile consumption and uptake. This category recognizes mobile products, services and initiatives that have had a significant impact on the social, economic or the environmental development of underserved communities. This new award recognizes both public and private enterprises across all industries that are transforming their core business strategy by introducing and deploying innovative mobile solutions, whether via an app, service or product to help work smarter and more effectively. This category recognizes the technology, apps and services of mPayments and Mobile Banking that are driving ‘cashless’ content and commerce. This includes enabling consumers to use their mobile device to transfer funds, pay bills as well as purchase items conveniently making retail, ticketing, transport transactions via mobile. The award celebrates companies who are driving therapid convergence of mobile and financial services today. This category celebrates the best and most commercially successful applications that are focused on ‘fun’. Cross-platform sites, apps or experiences developed for the distribution of social and entertainment content, such as sports, games, gossip, humor, reviews, TV & music apps as well as social networking, sharing tools and wearable technology. These may be mobile versions of established entertainment products and services or developed as a stand alone app for mobile.